“As a Massage Therapist my goal is to provide services that offer relief, comfort, and relaxation. Each session is customized to meet the needs of every individual. I will demonstrate the skills I have acquired to promote healing and to enhance your well being in a safe environment." CLOUD 9 is owned by Lisa Mandetta a Boalsburg native. 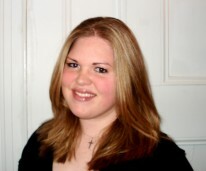 Lisa is a State College Area High School alum and a graduate from Lock Haven University. After graduation she traveled abroad to Thailand. During her month long visit she embarked on a vast hill tribe trek and toured many of the country's stunning cities and beaches. Thai massage is a main tourism attraction and by discovering the benefits first hand and experiencing other massage therapy services, sparked Lisa's interest in the industry. Lisa enrolled at the Central Pennsylvania School of Massage in State College PA and received her certification in the summer of 2010. Lisa is a Licensed massage therapist (L.M.T.) and has worked at Integrative Bodywork School of Massage Therapy where she continually receives ongoing education. For multiple years Lisa has volunteered many hours in giving massages to dancers at the Penn State University Dance Marathon, the largest student run philanthropy program in the country. Lisa passed the Massage Bodywork Licensing Examination or (MBLEx). Licensed Massage Therapist # MSG005793. She is also a member of good standing of the Associated Bodywork and Massage professionals or (ABMP). Lisa is certified in Swedish, Deep Tissue, Sports, Pregnancy, Trigger Point, Lymph Drainage and Day Spa Massage therapies. Lisa welcomes you to Cloud 9 Therapeutic Massage Studio. A place with a professional atmosphere in a luxurious setting!